For use with Model B Indoor Rowers only. Sprockets (gears) for the Model B flywheel axle. 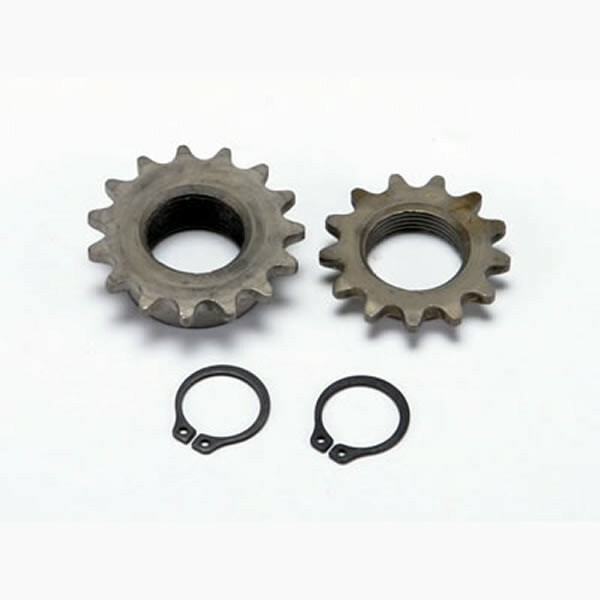 Includes both inner (15 tooth) and outer (13 tooth) sprockets. A new chain (part number 280) is also strongly recommended if you are replacing sprockets. The Flywheel Cog Tool Set (part number 484) is required to change sprockets and should be added to your order before you submit it to us. See more info.